Product prices and availability are accurate as of 2019-04-19 06:05:41 EDT and are subject to change. Any price and availability information displayed on http://www.amazon.com/ at the time of purchase will apply to the purchase of this product. 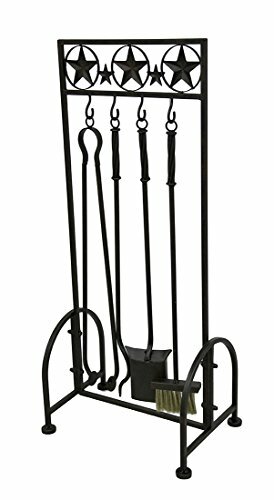 Keep your country hearth elegant and neat with this 5 piece fire set featuring a Western star motif and a side by side hanging design. 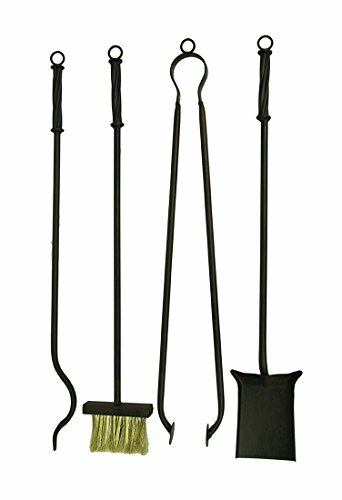 The set includes a heat resistant brush, shovel, stoker, tongs and stand for easy and stylish storage. With this accessory set you can easily shovel the embers, sweep up the ash, stoke the fire and move the burning logs around to maximize your burning experience. 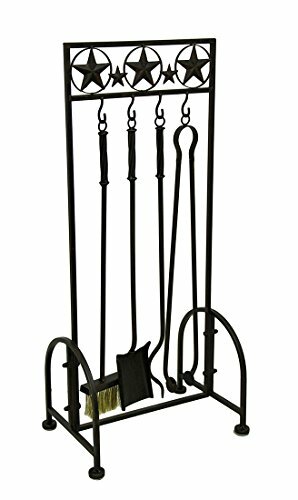 Don't just let your fireplace be a decoration, make it a part of your home with this rustic metal fireplace accessory set! 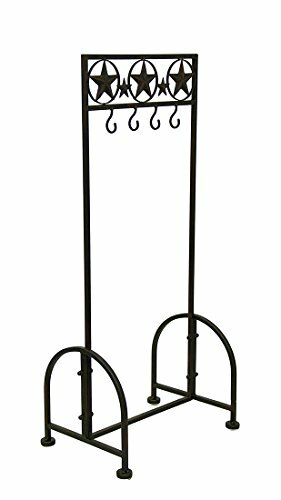 Stand: 32.5 inch high, 14.5 inch long, 10 inch wide. 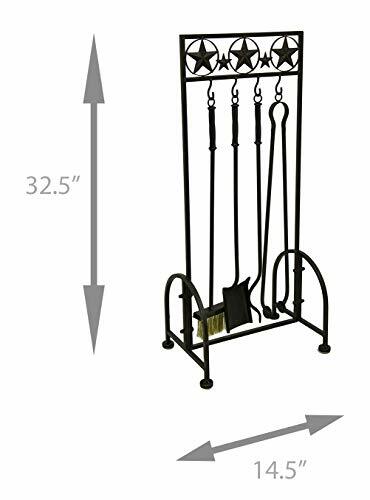 Tools: Approximately 24 inch high, 4 inch long, 1.5 inch wide each.